MIDWINTER BLOOD saved me from a reading slump, and introduced me to a new series to love. I picked this book up on the recommendation of a bookseller at my favorite independent bookstore, The Mysterious Bookshop, and I'm so glad that I did. MIDWINTER BLOOD is an atmospheric, brooding piece of Scandinavian crime fiction with a contemplative bent—an excellent choice for your fall reading list. MIDWINTER BLOOD is book 1 in the Malin Fors series, and introduces readers to our protagonist: the fiercely independent Malin, a single mother and police superintendent in a small town in Sweden. When the body of an unknown man is found brutally mutilated and hanging from a tree in a remote field, Malin is tasked with solving the case. 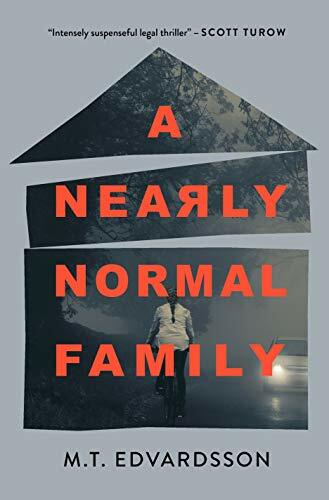 As the harsh Swedish winter grows even more bitter, Malin and her partner find themselves embroiled in a case of twisted family ties, connections to rituals of the past, and violence permeating a small town. MIDWINTER BLOOD immediately drew me in with its grit, darkness, and strong police procedural angle—it's no surprise that I was intrigued by this Nordic Noir read based on its plot alone. But beyond the immediate appeal of its plot, I stayed with this book for Kallentoft's voice as an author. Kallentoft has worked as both a writer and journalist prior to trying his hand at crime fiction, and this influence can be felt in MIDWINTER BLOOD. Kallentoft has written a crime novel that is truly quite contemplative, with both the living and the dead expounding on what it means to live, and what it means to live well. How connected can we ever really be to another person? And what if the thing we share with one another is our loneliness? Kallentoft subtly and effectively weaves these themes throughout his gritty crime novel. One disclaimer: there's no denying that this book starts out a bit slow. While I was immediately drawn into its atmospheric quality, I did find that it took maybe 50 to 100 pages before I felt myself really swept into the story. But once the story hooked me, I couldn't put it down. I loved this book for its dark and enveloping atmosphere, its intriguing and complex protagonist, and its dark and propulsive central crime. I absolutely plan to continue the Malin Fors series, and recommend this book for fans of Jussi Adler-Olsen and Sara Blaedel.